Feral has announced that Total War Saga: Thrones of Britannia will be released this week for macOS. The epic historical strategy game made its way onto Windows last month to generally favorable reviews, and from Thursday, May 24, Mac owners too can test their strategic nous on the battlefield, provided they can match the system requirements. 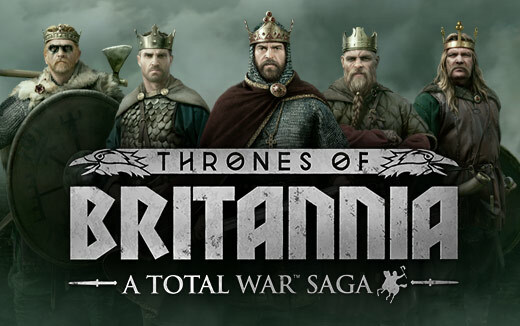 Originally developed by Creative Assembly, Thrones of Britannia is the first in the new Total War Saga series of standalone titles inspired by great turning points in history. The first game in the new series sets Anglo-Saxons, Gaelic clans and Viking settlers against each other as they vie for supremacy across the British Isles, circa 878 AD. Players can command one of ten factions, each with a unique branching narrative, and make decisions that reshape history in unexpected ways. Focusing on a specific historical flashpoint, Thrones diverges from typical Total War titles, with some changes to the series' standard game mechanics, including variations in building construction and military training to better reflect geographical differences. All Mac Pros released since Late 2013. Visit the minisite for more information. Thrones of Britannia can be pre-ordered now for $39.99/£29.99 from the Feral Store and Steam. I'm never gonna complain about more games on more platforms. Good on you, Feral.